The streets are bumping with MINI. 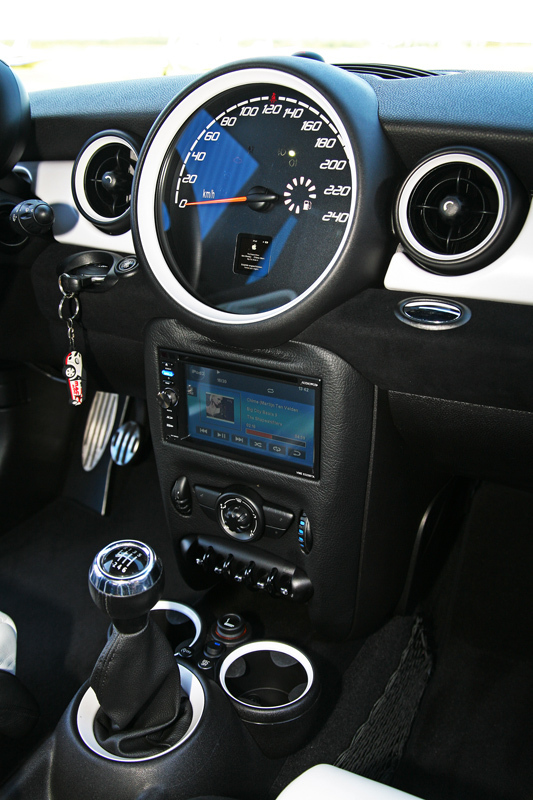 The Mini brand has a cult-like following and die-hard enthusiasts that oftentimes don’t leave their car stock. Not a large portion of this market is dedicated to interior sound, but Mac Audio is out to change that. 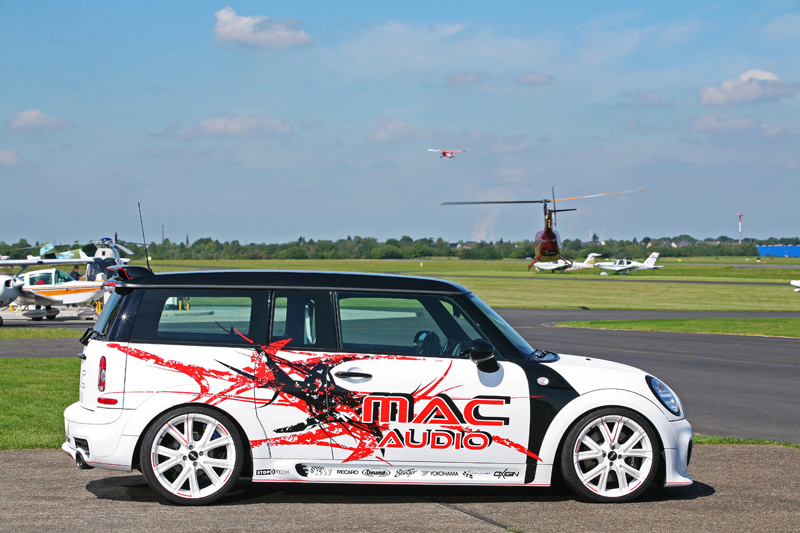 Mac Audio has taken the Mini Cooper S to another level of audio bliss with its latest show car. 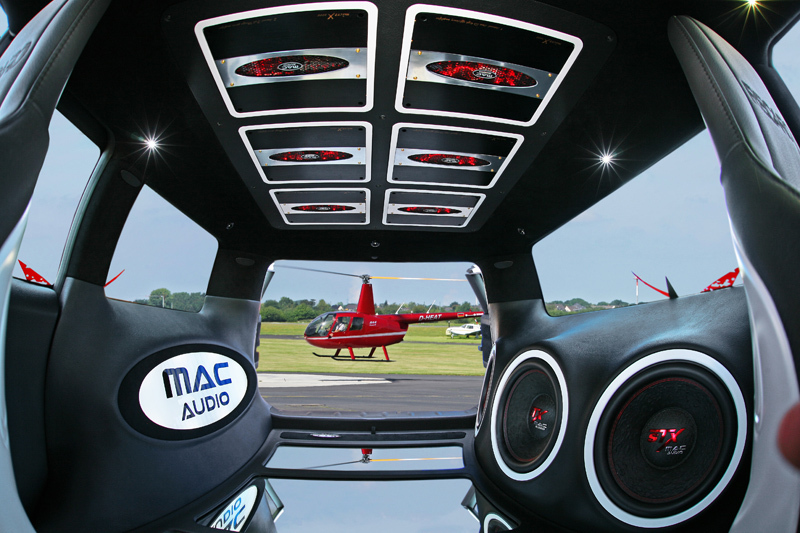 The entire interior is tricked-out with handmade audio equipment thanks to the Mac Audio team headed by Dennis King. 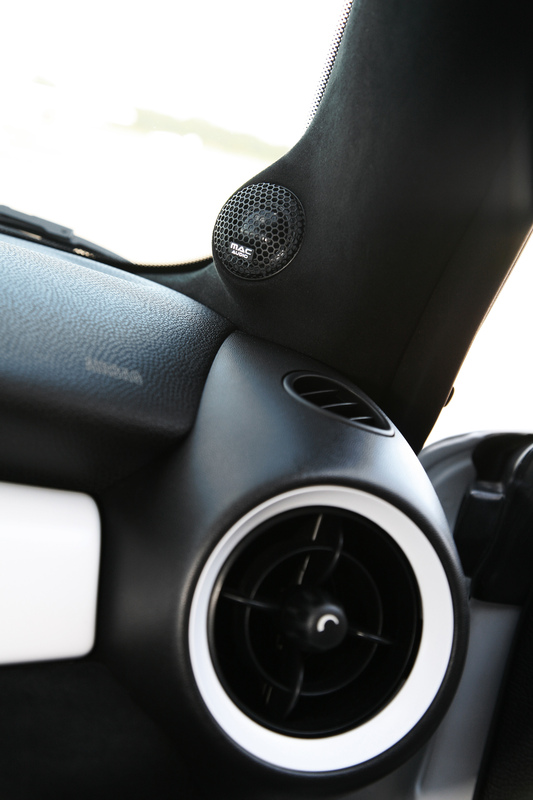 The entire car was given an extra layer of Dynamat Xtreme insulation material to reduce road noise for a better audio experience. 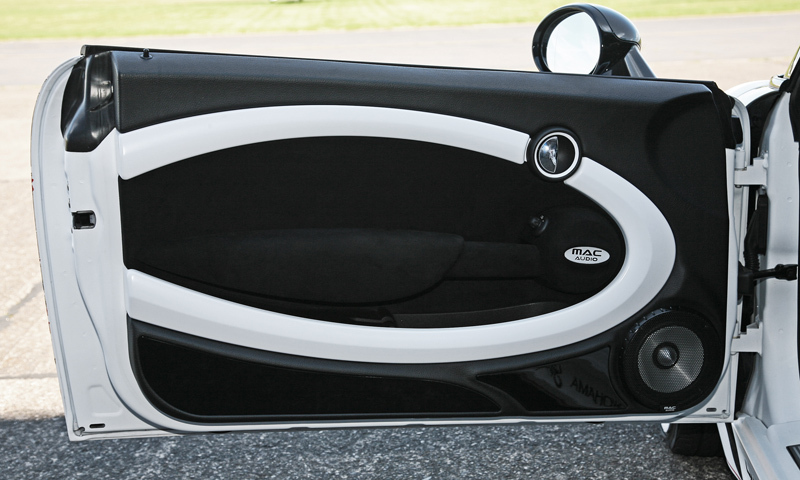 Each door panel was modified by hand to accommodate front and rear Star x 2.16 Mac Audio speakers. 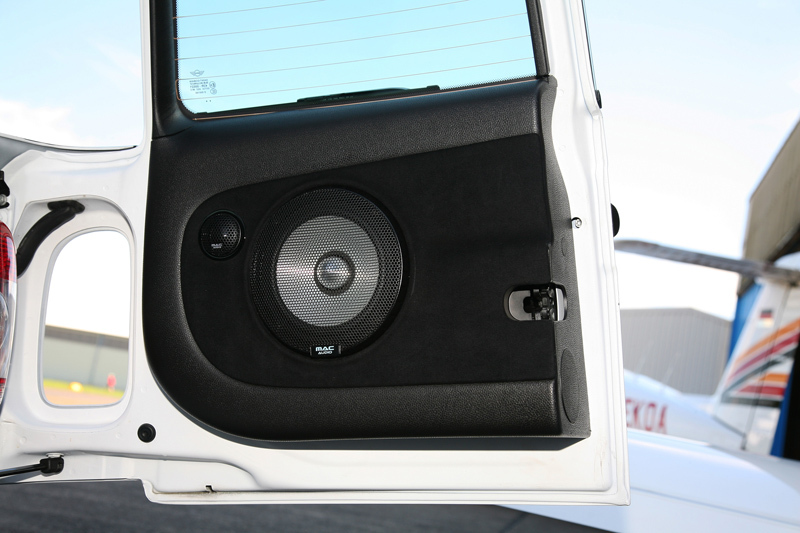 At the rear of the Mini are six Mico X Series amplifiers with a 3,900-watt capacity mounted in the trunk’s headliner and reflected by a large mirror on the trunk floor. To really get the bass bumping, Mac Audio has installed handmade 90-liter enclosure with a 3 x Mac Audio Refrence STX-woofer. The centerpiece of the dashboard is an Auidovox VME 9325BTA head unit with iPhone, iPad, USB, DVD, and Bluetooth touchscreen compatibility. To ensure that all of the components are connected properly, Mac Audio has installed extra batteries, capacitors, and cabling buffers. The Mac Audio Mini isn’t just about exhilarating audio performance. The company also took steps to ensure that the fun driving experience that the brand is known for remains. 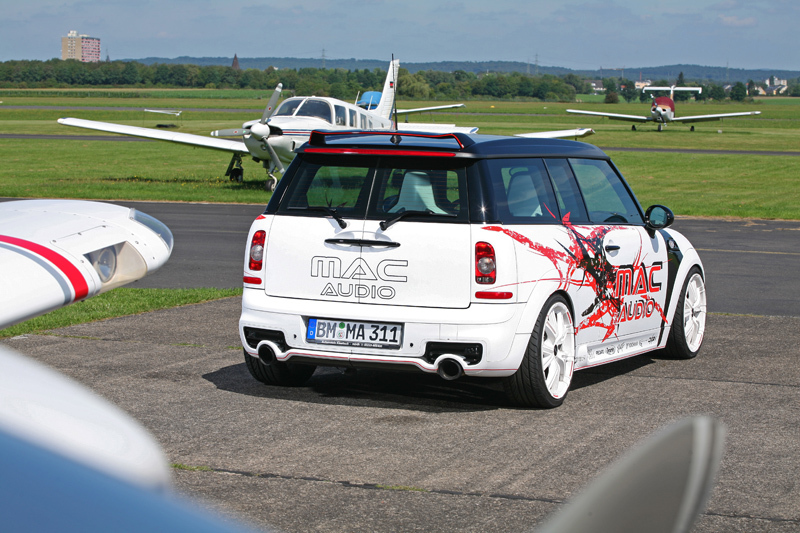 Mac Audio enlisted the help of Wimmer RST to install a new exhaust, intake, and ECU remap for a total of 230 horsepower. 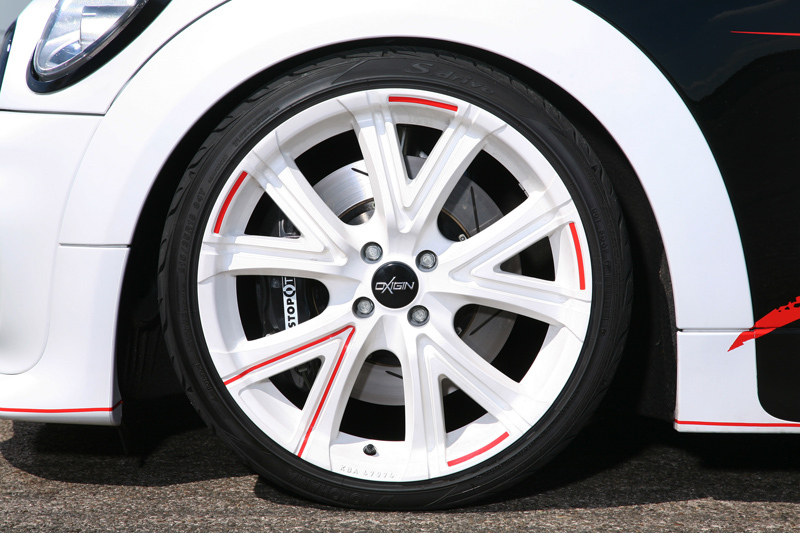 For better handling dynamics, new 8 x 18 Ogigin wheels with a white finish have been fitted with 215/35-18 Yokohama Advan Sports tires. Behind the set of wheels sit KW Variant 1 coilovers and Stoptech high-performance four-piston brakes. 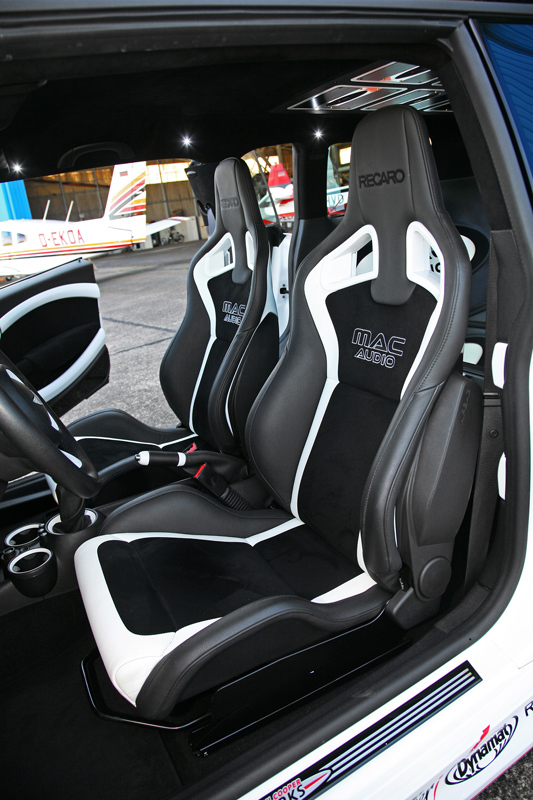 The performance upgrades are finished off with a set of Recaro Sportster CS seats. 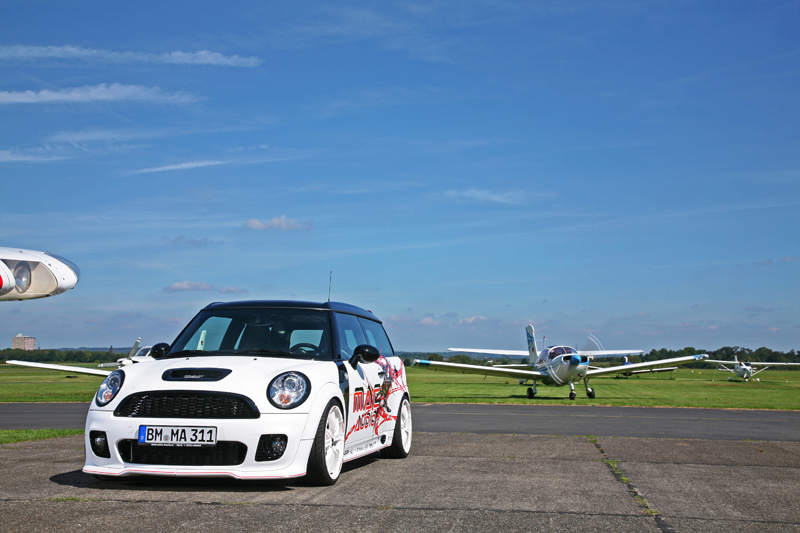 The entire exterior of the Mini wears a John Cooper Works body kit for a more aggressive look and better aerodynamics. A two-tone matte black and white paint scheme with custom Mac Audio decals help to draw attention to the show car. 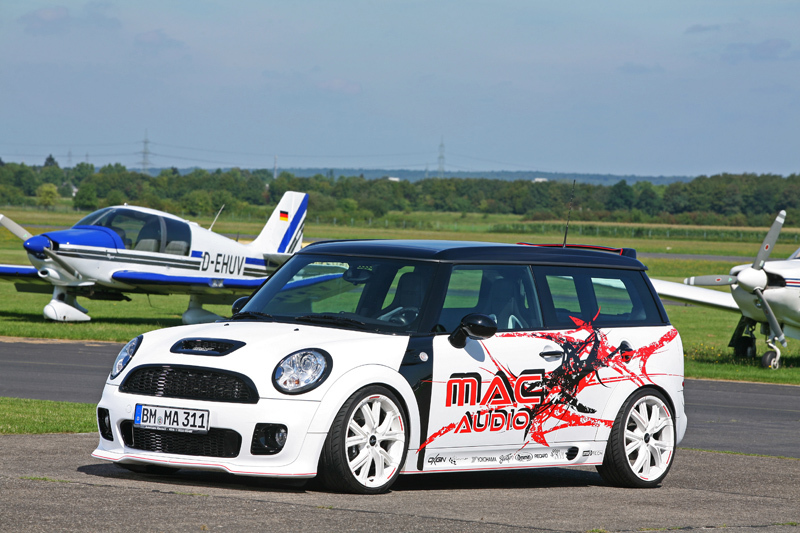 The Mac Audio show car will be making the rounds at a number of different car shows across Europe. All of the interior, exterior, and performance upgrades are available on the Mini Cooper S. Pricing has not been released. 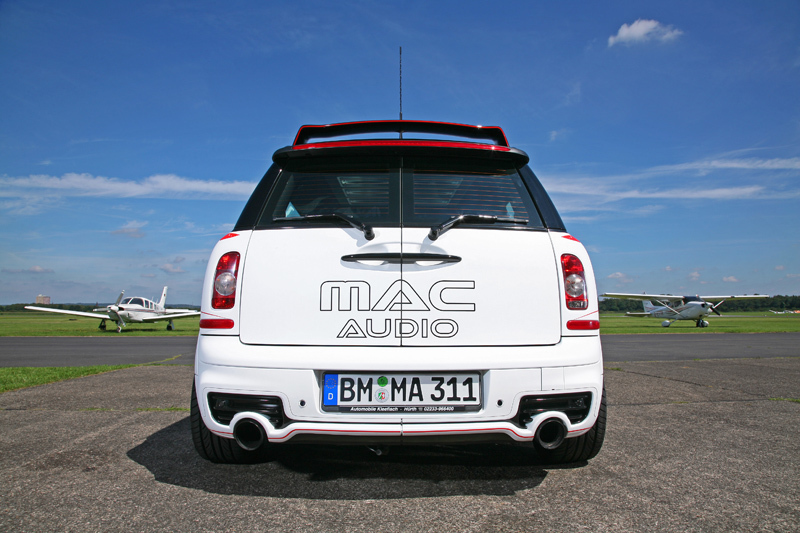 What would you listen to in the Mac Audio Mini Cooper S? Leave a comment and let us know! It’s Turbodiesel Touareg Time with Wimmer RST! Go Big with the 420-HP Wimmer RST Polo R WRC!